All FAIRFIELD homes currently listed for sale in San Antonio as of 04/26/2019 are shown below. You can change the search criteria at any time by pressing the 'Change Search' button below. 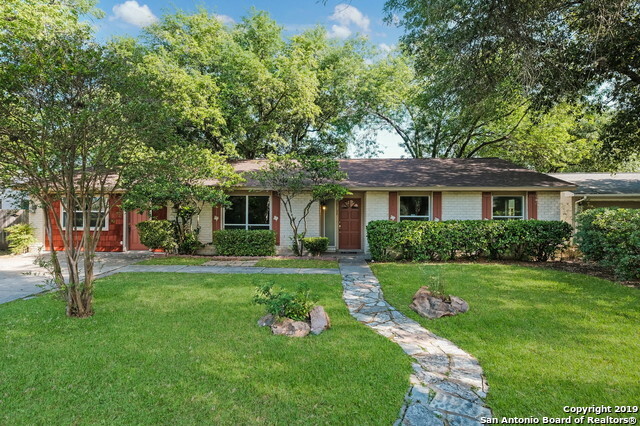 "GREAT CENTRAL LOCATION home surrounded by mature trees in a private secluded neighborhood just inside Loop 410. Easy access to Airport, 410, 281, IH35, IH10 and downtown. Recent updates include paint, carpet, granite kitchen counters. Two large living rooms for entertaining. Kitchen opens to a huge dining room with french doors leading to a HUGE Tree covered BackYard. Great Curb appeal nicely landscaped. 18x17 Converted Game Room. 12'x16' Morgan Building +xtra storage bldg. Large Decked a"
"Beautiful brick colonial with wood-like tile flooring, updated bathrooms, 2 car garage and large carport, storage building, and mature trees on lovely lot. Wonderful family home. Master down."